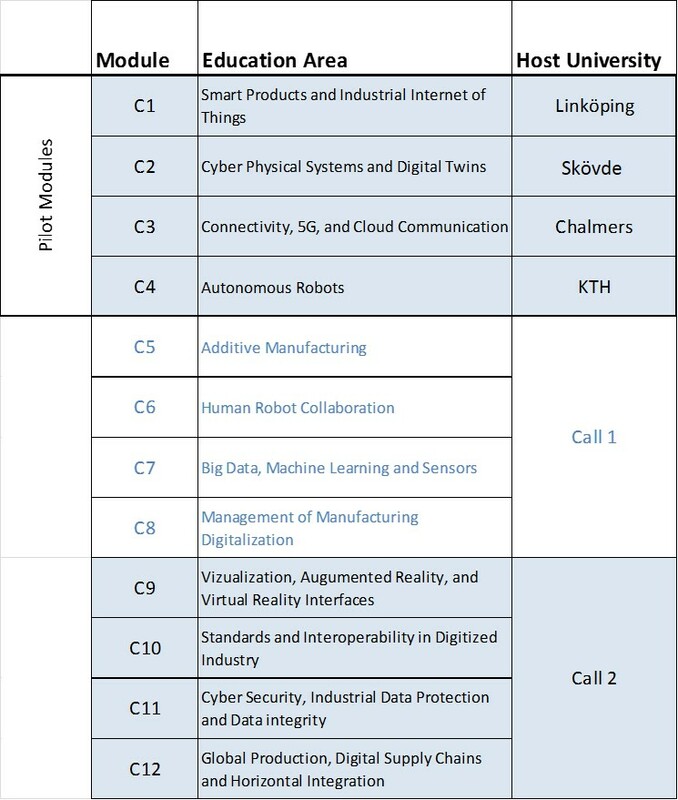 The 12 course modules of 3 HEC each are specially selected to support the transition of current Industry 3.0 education and skills towards the Industry 4.0 level. 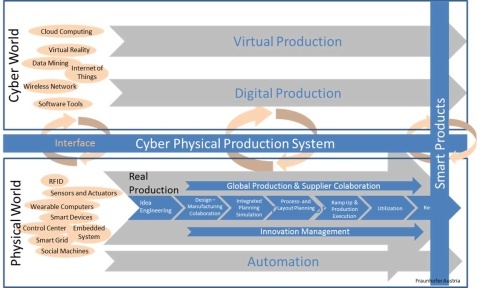 Each module is developed by a team of Universities and Industry under the lead of a "Host" University to enable operation of a "Cyber Physical Production System" as illustrated by Fraunhofer in Austria (see figure to the right). During the spring 2018 4 "Pilot" modules (C1-C4 below) have been developed for initial implementation during the autumn 2018. Remaining course modules will be initiated by two Calls for Course Modules" Q3 2018 and Q1 2019.